The reduction in the riveting time is an essential goal for the industrial activity. 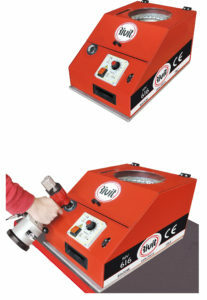 This is why Rivit projected a pneumatic/electric unit, that loads the rivet or the rivet nut directly on the head of the riveting tool: its use halves the installation time and eliminates, in the loading phase, the contact between the operator’s hand and the body of the fasteners, assuring more productivity and higher safety. 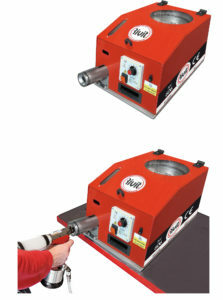 RIV606 by Rivit is an automatic feeder for standard blind rivets from d.2.4 to d.6.4 mm and it can be used with tools with mandrel suction, such as models RIV502/RIV503/RIV504/RIV505.